Street art has been known to reduce the ridership on transit systems. A bus full of graffiti may be assumed to be dirty and/or associated with gang ridership, which in turn gives the feeling that it is unsafe. It is increasingly popular to deface trains and subways for the added feature that plenty more people will see the piece when it is constantly moving. Furthermore it is not uncommon to walk into a New York City subway station and to be astounded by the endless graffiti markings on the walls of the station and the trains themselves. In a place like Melbourne where public transportation is inevitable, the risk of losing ridership may not be so relevant. 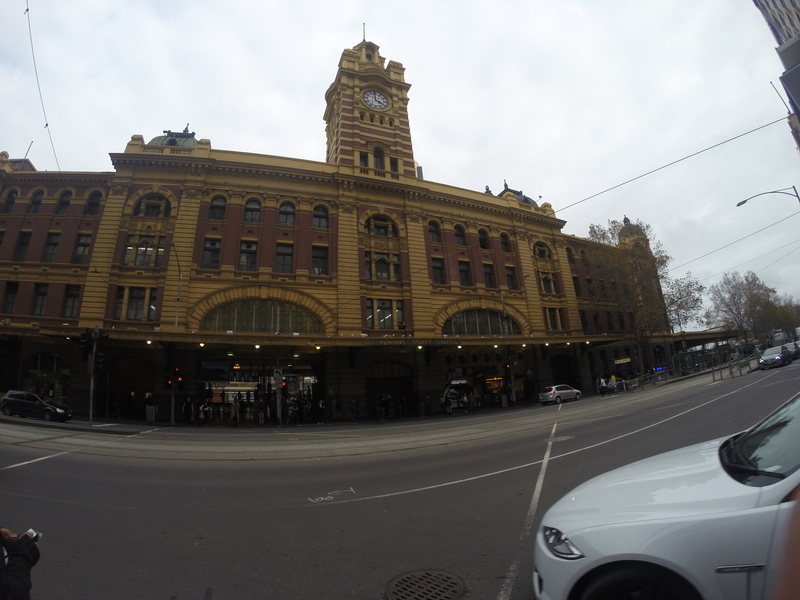 In the case of Flinders Street Station most all street at is buffed out. You can see remnants of tags along the walls, however not enough to tell what it use to be. 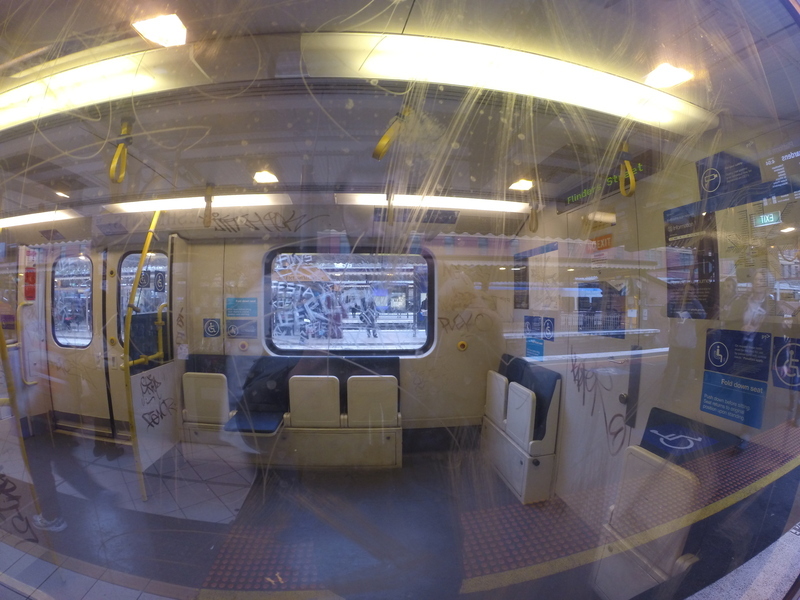 The trams are also relatively clear, besides countless scratched in tags on the train’s windows. 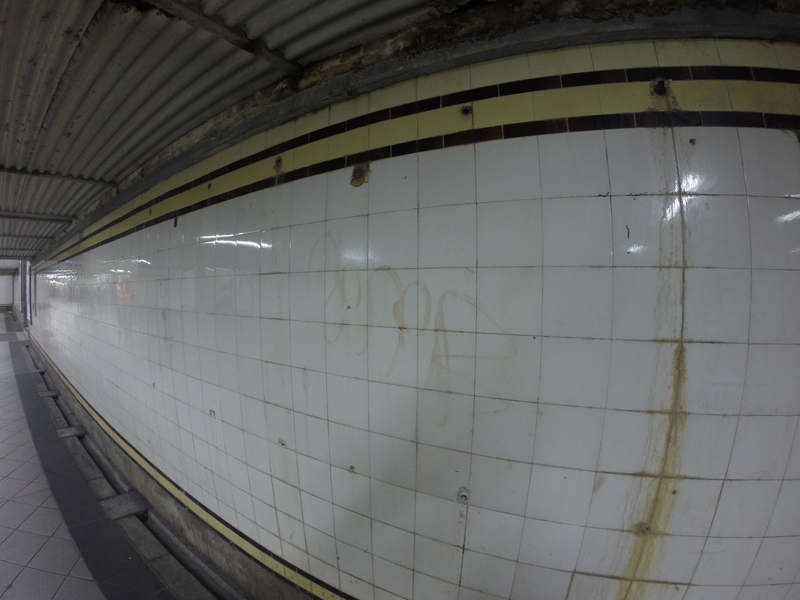 “Location 3: Flinders Street Station,” Street Art deTours, accessed April 24, 2019, http://streetartdetours.com/document/1164.